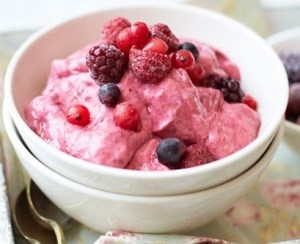 This frozen berry yogurt recipe will satisfy your sweet tooth and help keep you cool in the summer heat. It's a quick, easy and low calorie and low Weight Watchers Points dessert. With just a handful of ingredients, and only 10 minutes tops, you can whip this up for the whole family. Top it off with some additional berries. Add a scoop of light whipped cream for an extra treat. Be sure to add the additional calories and points. 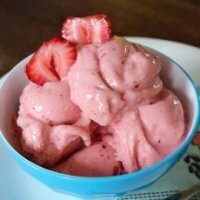 Jazz up your frozen yogurt with this with this fun frozen healthy dessert. You can use fresh or frozen berries. If you use fresh, there are a few more steps involved. You can have this as a snack during the day, on a hot summer evening or whenever your sweet tooth needs satisfying. Below are the list of ingredients, directions, nutrition and Weight Watchers points. In a blender, mix berries, sugar and lemon juice in blender until smooth. Add yogurt and pulse until mixed in. Pour mixture into a shallow metal dish and freeze (about 6 hours). Remove from freezer and break into chunks. Place frozen chunks into blender and blend until smooth. Nutrition facts for the frozen berry yogurt recipe shown below are per serving. The number of serving is noted in the header section below. The serving size is the first item noted on the nutrition facts table. The plain nonfat yogurt and fruits were not included when calculating the FreeStyle SmartPoints. All other WW points do not include the fruits. Freeze any unused portion in a container. If the fruits are in season, you can use fresh instead of frozen. If you want to freeze your fresh fruits to have later in the year, here are some tips on how to freeze fresh fruits from Natures Nurture blog. 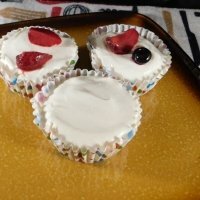 Here's another frozen yogurt and fruit dessert with zero Freestyle SmartPoints you can have to cool you down on hot days. The nonfat and lowfat ingredients in this recipe (along with a sugar substitute) makes it a dessert you can have on your diet. 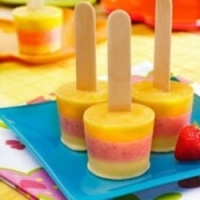 This dessert recipe does take some time as you have to freeze each tasty fruit layer to create these delicious popsicles. 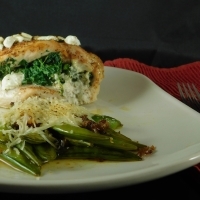 Stuffed with creamy goat cheese and tasty spinach, this entrée will fill you up and leave you satisfied. 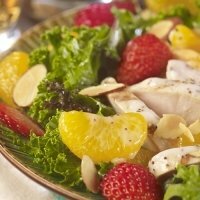 The juicy sweet tastes of all the fresh fruits in this healthy salad recipe is the perfect meal for eating your fruits and veggies. 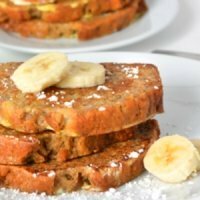 This French toast recipe uses your left over banana bread as the star of this tasty breakfast idea. Add some of these foods to your next meal or recipe. These foods are good for the body and the soul. Check out all the tools you can use on this site. You will find calculators, off-line spreadsheets and helpful gadgets.